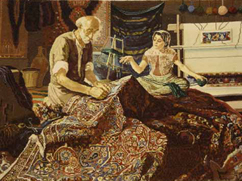 Silk Road Odyssey is your best source for premium quality rug cleaning, rug restoration, rug repair and rug appraisal, serving Marin County, San Francisco and surrounding areas since 1995. 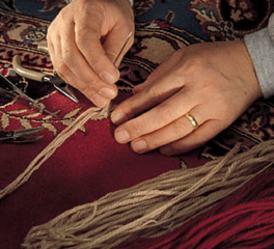 We repair, restore and clean all kinds of area rugs such as Oriental rugs, Tribal and Persian rugs and Kilims. We handle all types of area rugs from silk, wool, and cotton rugs, to sisal, handmade, machine made, modern and antique rugs. We clean all types of stains, pet odors, color runs, candle spots, water, fire and moth damage on area rugs. 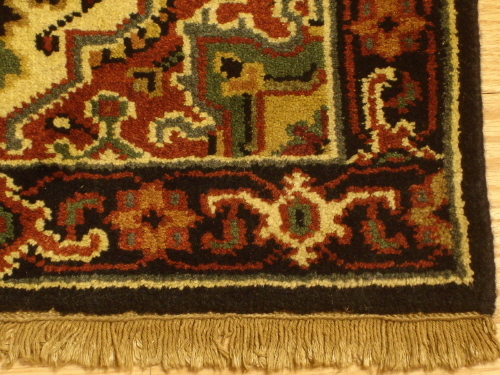 The repair and restoration of antique oriental rugs is truly one of our greatest passions. No matter what size or how heavy or light your rug is, we pick it up & deliver for free and handle it with the attention to detail that gets you the best results. free of harmful chemicals and odors. Our focus is on providing the highest quality services, resulting in satisfied customers time and time again. We are fully licensed, bonded, and insured for your protection. 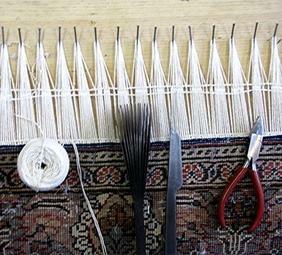 That means it would take the weaver 2520 hours to weave a 7x10-foot rug with a density of 300 knots per square inch. If we divide this number by 8-hour working days that means it would take one weaver 315 days (one full working year) to weave such a rug. We provide professional consultation on purchase and sale of rugs free of charge. We also purchase your old rugs or provide you with trade alternatives.. Contact us for free evaluation on the new and antique rugs you consider to sell or trade. Marin rug cleaners, The Best San Francisco rug repair and restoration, rug masters cleaning and repair, rug masters san Rafael, rug masters san Francisco, rug care san Francisco, papillon rug care, rug gallery, area rug cleaning Alameda, Area rug cleaning Berkeley, Berkeley rug cleaners, Berkeley rug repair, Mill valley rug cleaners,Antique Rug Cleaners, Antique Rug repair, Rug Cleaners San Rafael, rug repair San Francisco, Rug Cleaners Marin County, Rug Appraisal, Marin Rug Cleaners, Mill Valley Rug Cleaners, Antique Rug Restoration & Repair, Persian Rug Appraisal, Oriental Rug Appraisal, Rug appraisal ( ASA Certified ), Rug Cleaning Marin County, CA 94901, 94903, 94949, 94945, 94947, 94946, 94904, 94960, 94930, 94957, 94939, 94920, 94925, 94941, 94965, 94963, 94954, 94933, 94950, 94973, 94924, 94970, 94129, 94123, 94102, 94109, 94103, 94104, 94108, 94111, 94105, 94114, 94115, 94118, 94110, 94117, 94121, 94122, 94133, 95131 Oriental Rug Repair, Oriental Rug Restoration, papillon rug care, Oriental rug master weavers, Persian Rug Repair, Persian Rug Cleaning, Oriental Carpet Repair, Kilim Cleaning, Turkish Rug Cleaning, Turkish Carpet Cleaning, Turkish Rug Restoration, Kilim Repair, Kilim Restoration, Kilim Washing, Kilim Rug Cleaning, Dhurrie Repair, Dhurrie Cleaning, Wool Rug Cleaning, Silk Rug Cleaning, Antique Rug Repair, Navajo Rug Restoration,Tibetan Rug Cleaning, Moth Damage Rug Repair, and Hand Hooked Rug Cleaning, Hand Hooked Rug Repairs, Animal Skin Rug Cleaning, Navajo Rug Repair, Navajo Rug Restoration, Antique Rug Restoration, Antique Aubusson Repair, Antique Aubusson Restoration, Oriental carpet cleaning , Antique Tapestrie Repair, Antique Tapestrie Repair, Antique Tapestrie Restoration, Antique Savonnerie Repair, Antique Savonnerie Restoration, Rug Fringe repair.